Last month we completed the hardware installation of the Focuser Boss II hub and controller. 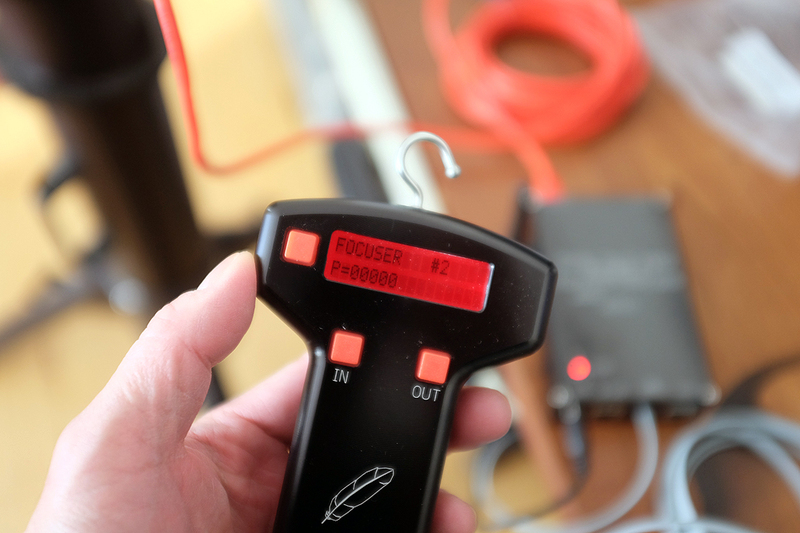 We can now manually control the focusing of the Celestron C6 OTA with the in/out button of the hand controller. This alone has significantly reduced the amount of vibration introduced to the telescope when trying to precisely dial in the focus for astrophotography. Our next task was to see if we could control the focuser remotely. This meant installing the app and configuring it so that the WiFi hub and the iPhone could talk to each other. Getting the software side of things up and running turned out to be a little more challenging than installing the hardware. Still, after a bit of poking around, we managed to get everything to come together in the end. We were able to see the FocusLynxConfig in the iPhone’s WiFi settings panel and was able to select it. However, when we launched the Focus Lynx app, we got the “Device Not Found” message. When we clicked “Try Again,” we got a “Network Error” message. As an experiment, we loaded the app onto an older iPhone 4S running iOS 8.3. With that setup, we were able to get everything to work! That gave us confidence that, while we were unsure of the root cause, we knew that the hub, WiFi, and software were all working. The issue was probably due to something related to the newer iOS/iPhone 6+. “…the newer iOS versions don’t play well with Ad-Hoc networks upon which the FocusLynx hub depends for initial configuration. 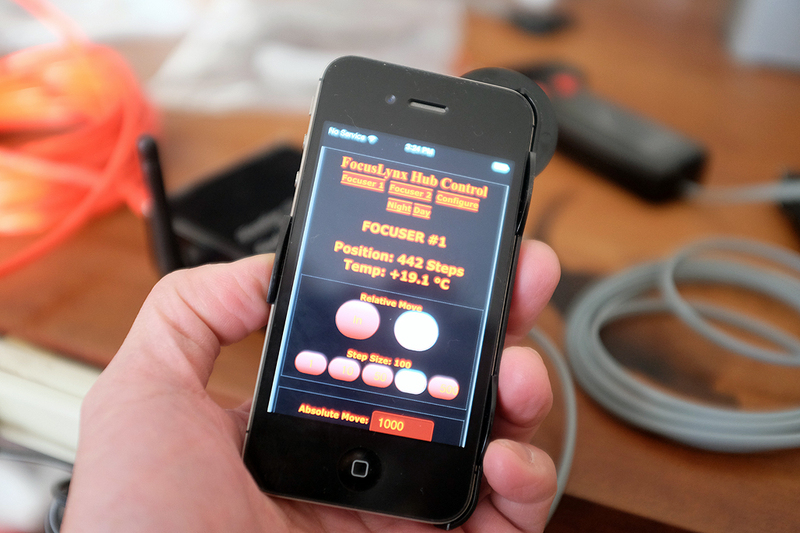 If you join the FocusLynx / FocusBoss II hub to your local wireless network, do you still have problems connecting through your iPhone 6+? Well, that did the trick! Following the directions given in the video, we were able to configure things such that the iPhone 6+ was able to “see” the Optec FocusLynx WiFi hub via the app. Now that we can remotely control the focuser, it is time to use it to do some astrophotography. We’ll be back soon with our FirstShots!